Do you segment your lists to get the most out of your email marketing efforts? Segmenting is the key to getting through to more potential customers, and getting more return on your investment. According to MailChimp’s recent study of their user base, email list segmentation results in a whole slew of impressive statistics. If this tiny bit of data (customer vs. prospective customer) can help you bump up conversions by helping you tailor your message, imagine what more, and better, data could do for you. Here are six ways to collect better data to help you leverage your email list. Although silly, they’re hugely popular, and you could use one of these quizzes to get a bit of data about your customers. Say you’re a brewery owner. 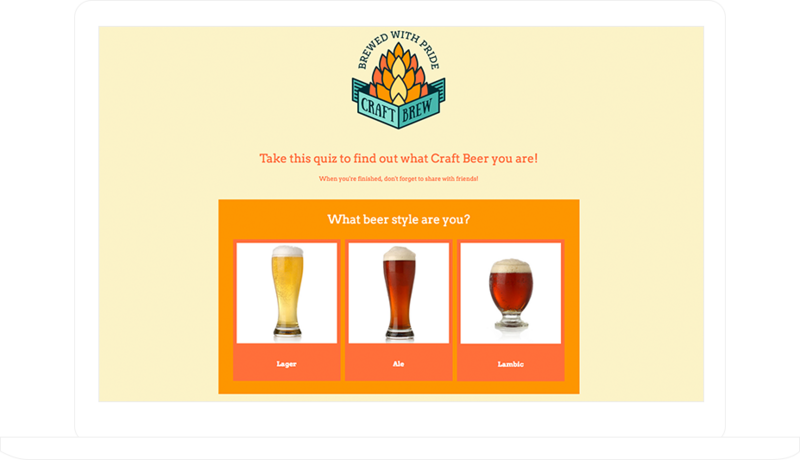 Build a quiz asking, “What kind of craft brew are you?” Based on how the participant answers each question, the outcome could be: IPA, Amber Lager or Irish Red Ale. Whatever the outcome, you can collect that data in a database, and send a segmented email based on the information collected.For example, those who got “IPA,” would be in their own email segment and would receive emails featuring your IPAs on special, or maybe your newly tapped IPAs. 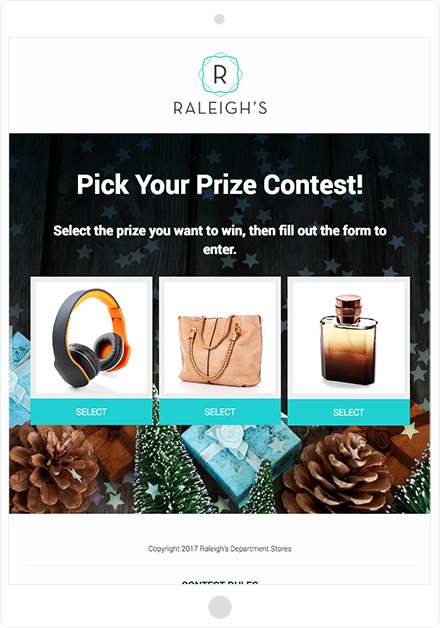 A Pick Your Prize giveaway is a unique type of giveaway that gives your participants the option to select from one of several prizes they’d like to win. The prize selected by each participant can give you a unique insight into the types of products they might like. Say you’re a makeup manufacturer selling a series of eyeshadow palettes. In a Pick Your Prize giveaway, offer the option to choose between a palette of neutral tones, a palette of brighter colors, and then something a bit crazy – like a palette of shimmery metallics for those adventurous make-up artists. You can break up the participants into 3 segments based on their preference, then, market similar products to them in the future.You can even get some insight into which products might be more popular. If eighty percent of the participants chose the bright palette, run a sale or promote that palette in future marketing. Have you ever clicked a button to download a coupon, see a recipe, or get “more info” only to me met with a form demanding your email address, your birthday, zip code and…first born? Unless it’s something I really want, I’ll typically bail. Are you the same? Coaxing info from people is never an easy feat, but if you can offer something in exchange, it might bring you what you’re after. The prize in a giveaway is a good start, but winning a prize can seem a little elusive to those who feel like “I never win anything.” Offer extra chances to win that prize in exchange for filling in extra fields in your entry form, for example a birthdate or a geographical location (like a city, or specific neighborhood). The key here is to think backward. Don’t simply add form fields willy-nilly. Plan out the details of your promotion first (for example, region-specific promotions, birthday specials, etc.) and then you can figure out the data you need to collect in order to execute your promotion. It’s always interesting to discover what people may or may not know about your industry or business. 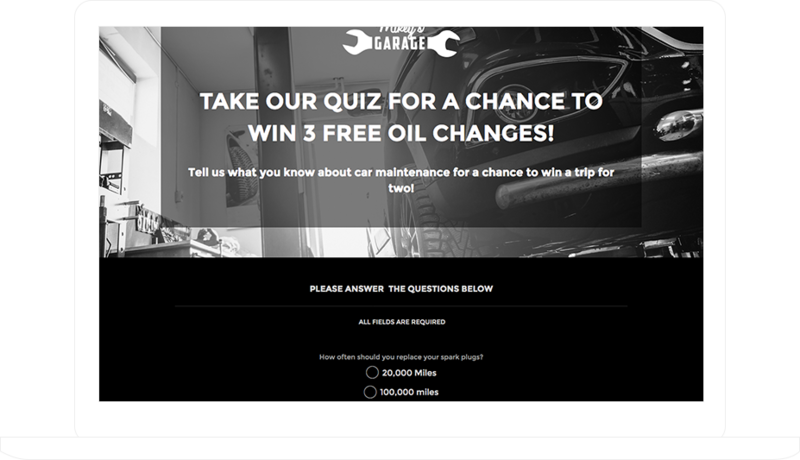 And a trivia quiz (not to be confused with the “personality” type of quiz) can give you a bit of this insight as well as prompt engagement with your company. Plus, they’re fun! Ask a series of multiple choice questions and turn it into a contest by filtering the entries by correct answers to award a prize. Perhaps you run a tune-up shop. Run a quiz asking things like, “How often should you replace your spark plugs?” or better yet, “What’s the average cost sustained by an engine from a broken timing belt?” You may find that the average Joe has no clue. There are some super-sciency methods to monitor your customer’s behavior including heatmaps, eye-tracking software, etc., but a simple and insightful way to glimpse the thought-process of your potential customers could be to track their activity on your website. Even an analog approach like using separate entry forms to collect sign-ups or info inquiries on different pages of your site can give you a little info on the page that inspired them to send you their email. A subscription software service may have a “Start Your Free Trial” button on every page of their website, but users signing up on the “Features” page may have different priorities than those signing up on the “Pricing” page. Consider the channel, location or method by which your data was collected and segment accordingly. 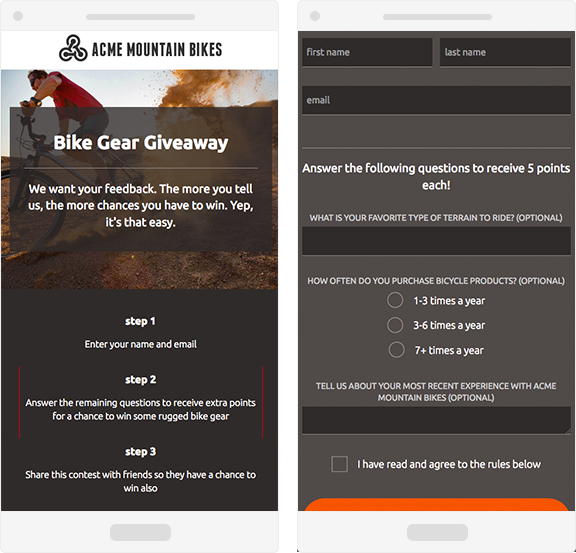 In the software service’s example, a sign-up occurring on the features page could be given “exclusive” access to new features, or be invited to give feedback on future feature updates. Reviews and feedback are great for word-of-mouth marketing, but also give you insight into how people feel about your business. 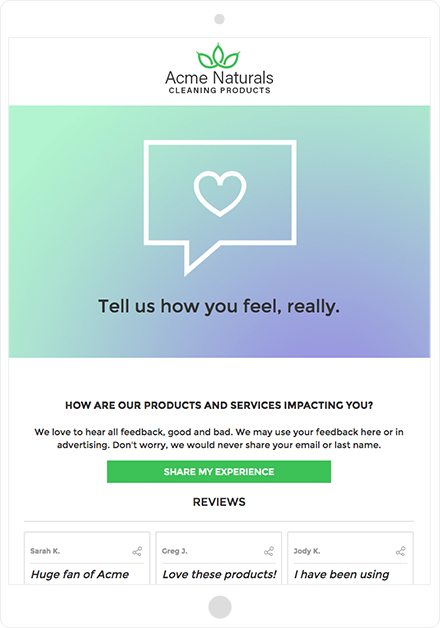 With review feedback collected in a database (whether it was submitted in an entry form or imported from comments on a Facebook post), use your customers’ feedback as an opportunity to open the lines of communication and show that you’re listening.Did someone give you a glowing review? Build on that by offering “loyalty” rewards and discounts. Was their review less than stellar? Offer a freebie to get them back in the door and change their mind. The holidays are the best time of year for data collection, so if you’re reading this just prior to the holiday shopping rush, know that effort you put forth now will have a better ROI in the year ahead. Check out the results of our study showing that Data collection increases by 73 percent during the holidays. And here are some other smart ways to use the data you may already have on hand.